The Chillida Leku project began in 1983 when Chillida and his wife, Pilar Belzunce, purchased the Zabalaga estate. However, the idea had been brewing for a long time, like an unattainable dream in the mind of the sculptor: ‘One day, I dreamed of a utopia: of finding a space where my sculptures could rest and where people could walk through them as though in a forest.’ In the open fields and forests of the Zabalaga country house, Chillida found the perfect place for realizing his vision. Chillida Leku is a unique museum, and the artist himself considered it a great work of art. Nature and art naturally come together in the space. 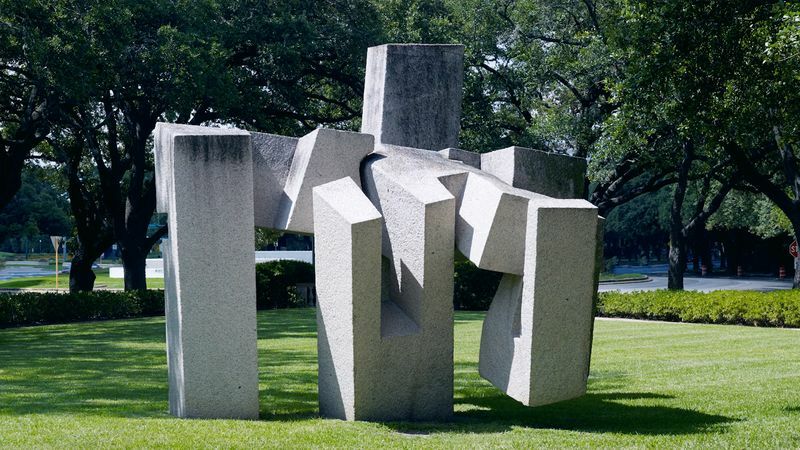 The sculptures are integrated into the landscape as though they had always been part of it. In the garden, beech, oak and magnolia trees live alongside the monumental steel and granite sculptures, situated in a harmonious dialogue with their surroundings. The scale varies throughout the museum, at times embodying vast, expansive space, and at others shrinking to consider the size of the human body. This is how the artist always worked, using the person as the measure of his creation. In Chillida Leku, the works converse with their natural surroundings: with the trees, with the landscape and with the country house. The specific location of each also facilitates cross dialogue between pieces, which are installed at different levels and arranged in relation to their environment. 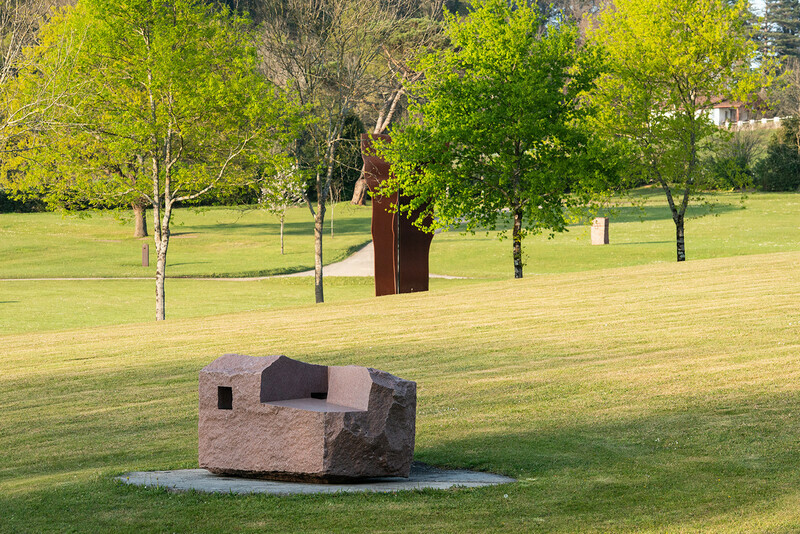 The 11-hectare Chillida Leku garden is home to more than 40 monumental sculptures. The carefully arranged works converse with nature as well as with one another. There are two distinct areas in the external part of the museum. On one side are the open fields, which in the early days of the country house, would have been used as sheep pasture. Behind the country house is the most densely wooded area. Here, the sculptures are encircled by the trees and are truly part of the forest. 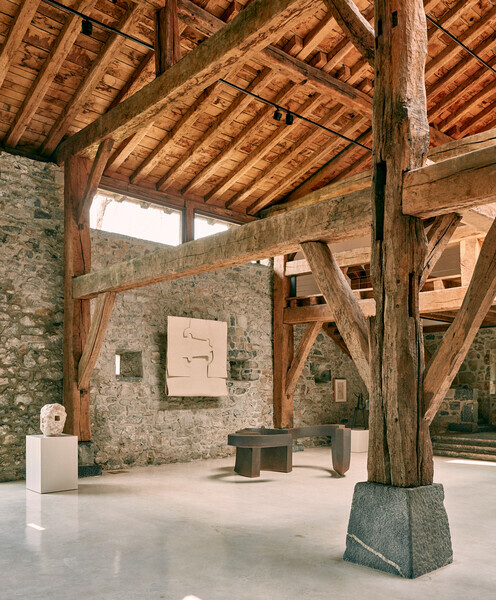 Inside the Zabalaga country house, Chillida Leku’s first exhibition entitled ‘Eduardo Chillida. Echoes’, features works from throughout Chillida’s career dating from the late 1940s through to 2000. 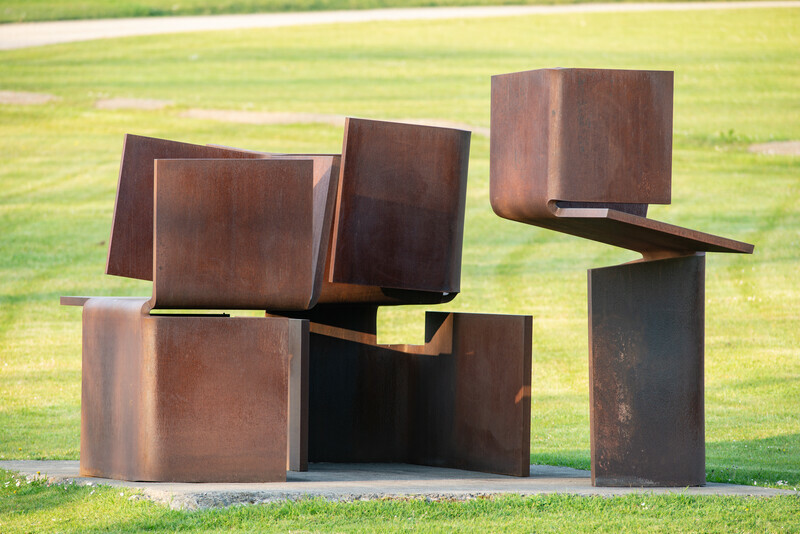 Curated by the sculptor’s son Ignacio Chillida and the museum’s research team, the retrospective provides insights into the artist’s creative development, his use of materials and the evolution of his ideas throughout his lifetime. Works in iron, corten steel, granite, plaster and paper are presented alongside the artist’s renowned series, such as Gravitaciones and Lurras . 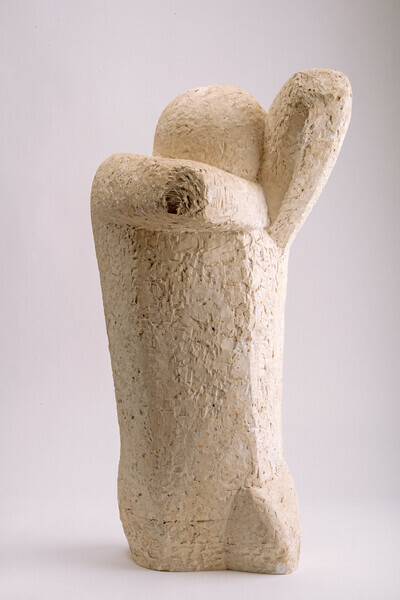 Plaster works from Chillida’s early years in Paris such as ‘Torso, Concreción (Concretion)’ (1948) and ‘Yacente (Reclining)’ (1949) are unique in their representation of the human figure. 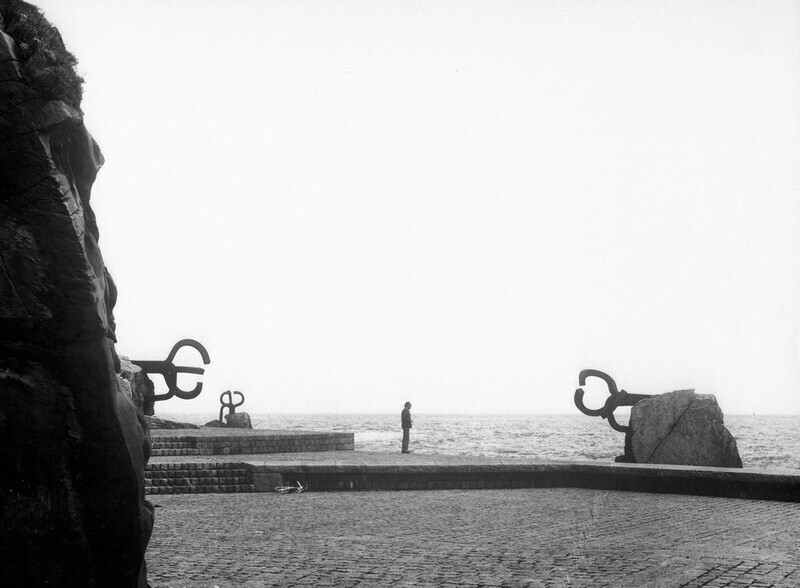 When Chillida left Paris in 1951, his sculptural vision shifted when he discovered iron at a forge close to his home in Hernani, where he lived with his family. Working with iron established a connection with the artisan tradition of the Basque Country. 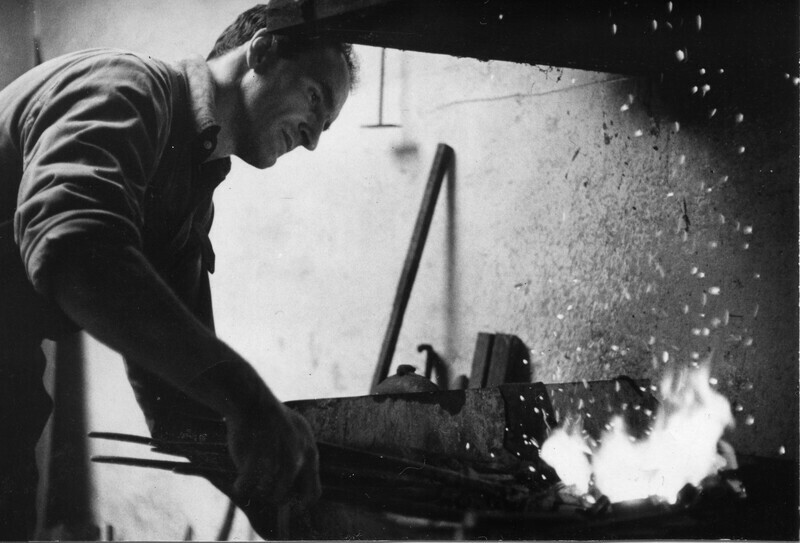 From those early beginnings in the forge, Chillida went on to create a personal and unique language to connect and understand the space around him. The upper galleries feature a presentation dedicated to Chillida’s public sculptures which can be found in over 40 cities around the world. 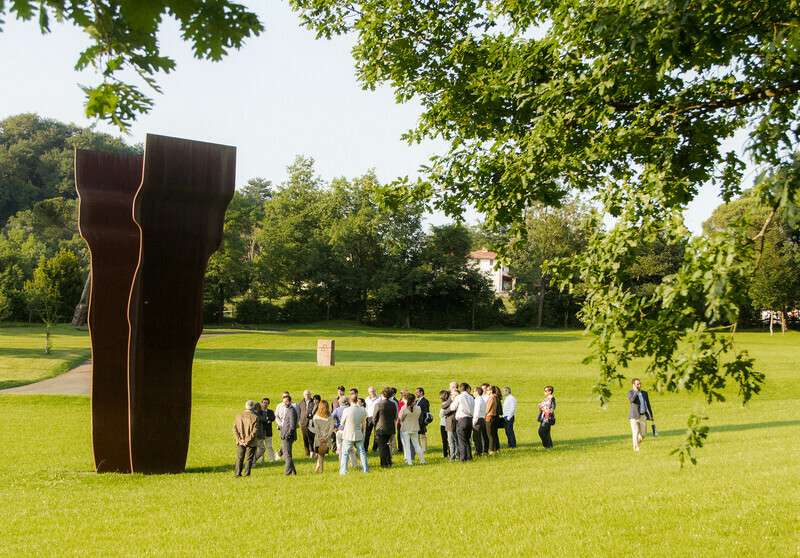 The special focus of this section of the exhibition is the monumental sculpture ‘Peine del viento XV (The Comb of the Wind XV)’ (1977) in San Sebastian, a commission which held deep personal significance for Chillida and was recently granted protected status as a monument of cultural importance by the Basque Government. 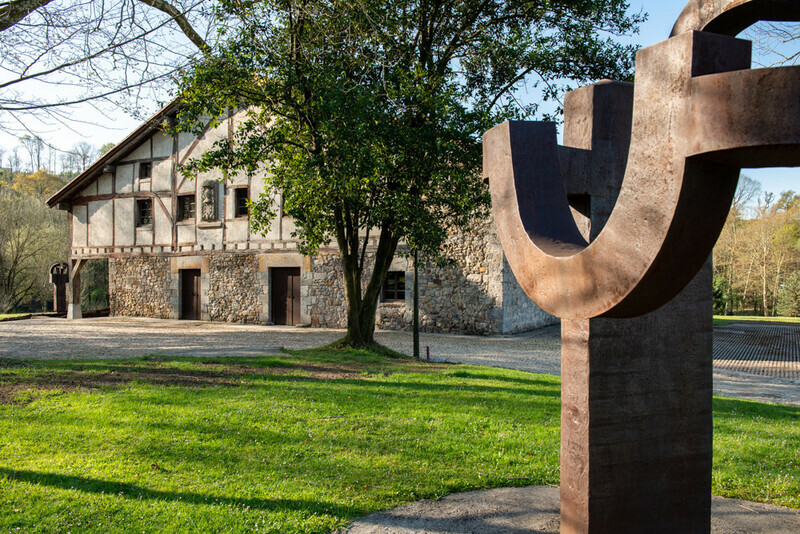 Chillida Leku will reopen its doors on 17 April 2019, marking a new era for this important cultural site. Visit the museum website for more information and to book tickets.